Group mini-bus outings have never been easier in Adelaide! It could be that you have organised a work outing, or you may be organising transport for the school’s football team. Whatever the case maybe, a Grant’s Coach Line Mini-Bus with a driver is a great way of getting people from A to B. A Mini Bus with a driver is available to drive you to the one location, or they can take you on tours around Adelaide and surrounding locations. By either giving us a call, or filling out our simple online form, we will be happy to provide you with a quote to cover whatever you need. 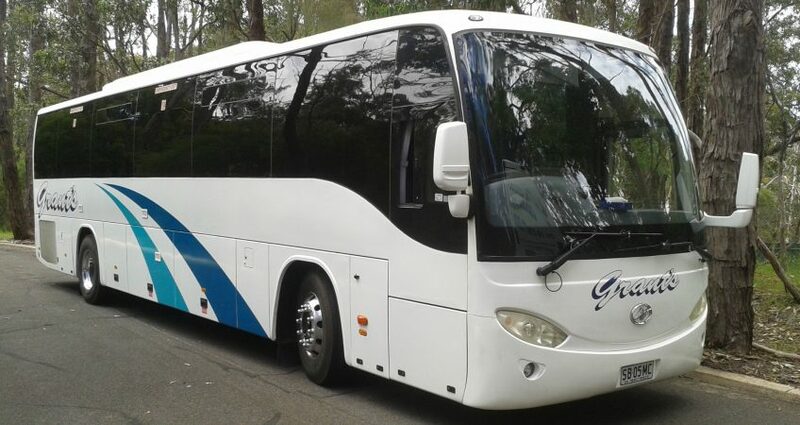 Grants Coachlines is a South Australian family owned and operated company with over 20 years of experience. This experience means that we are experts in getting you and your group around South Australia, and with buses ranging from 59 people coaches, to 22 seater mini buses. We have catered to a large variety of tours for people from all around the world, and will be happy to make sure that whatever your plans. Priding ourselves on customer service, we will ensure that your group tour is punctual, friendly, and most important, memorable.